A personal project. 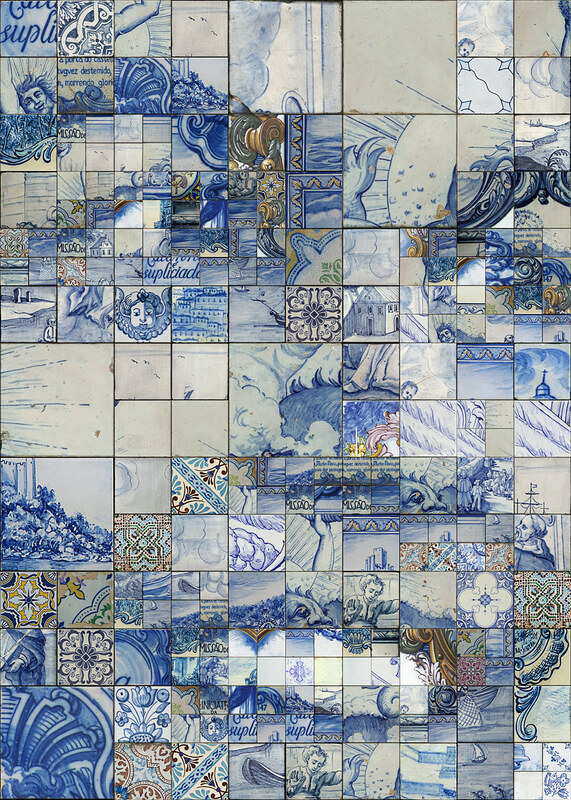 Studies on Azulejo and mosaics. 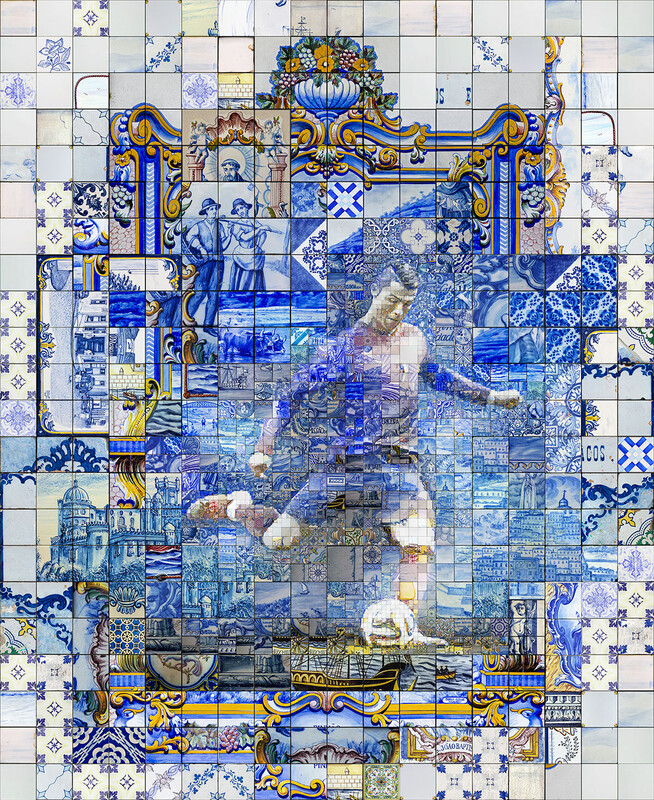 A tribute to Cristiano Ronaldo dos Santos Aveiro. 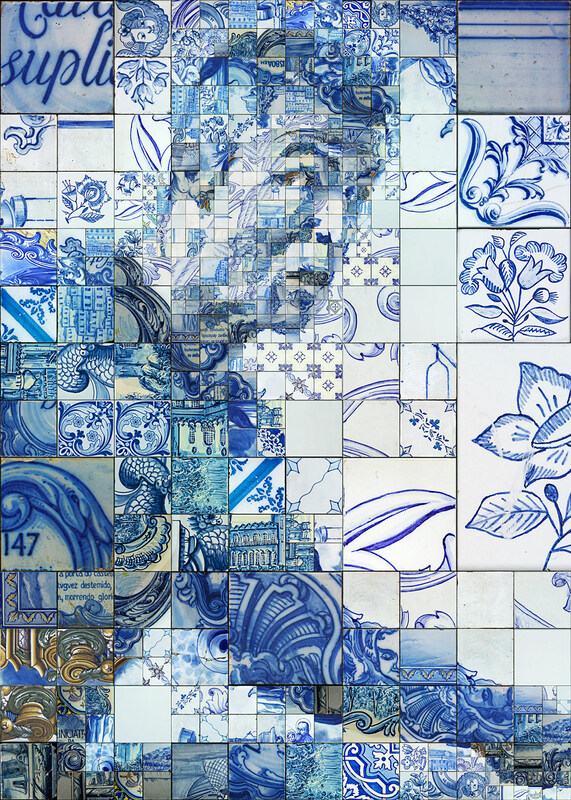 A series of mosaic illustrations based on the great tradition of Azulejo. 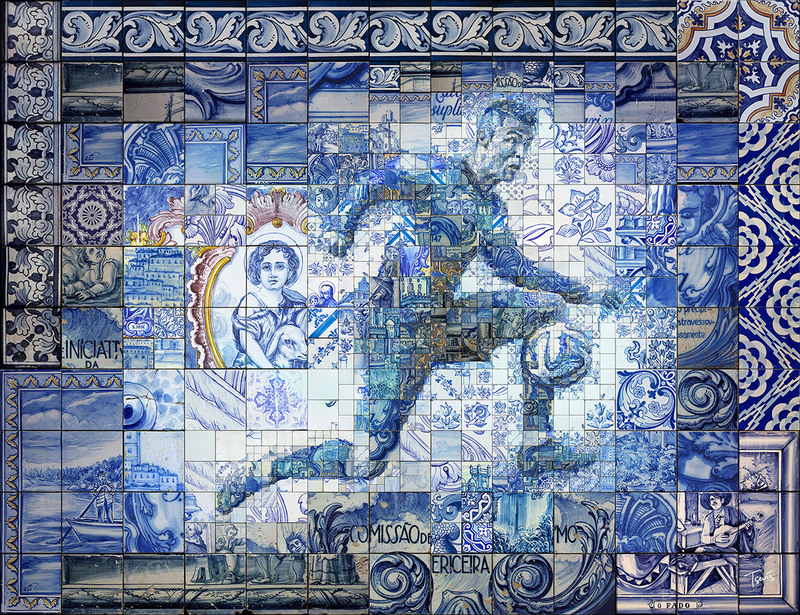 This 5 centuries old form of tile painting art is a typical part of Portugues culture. 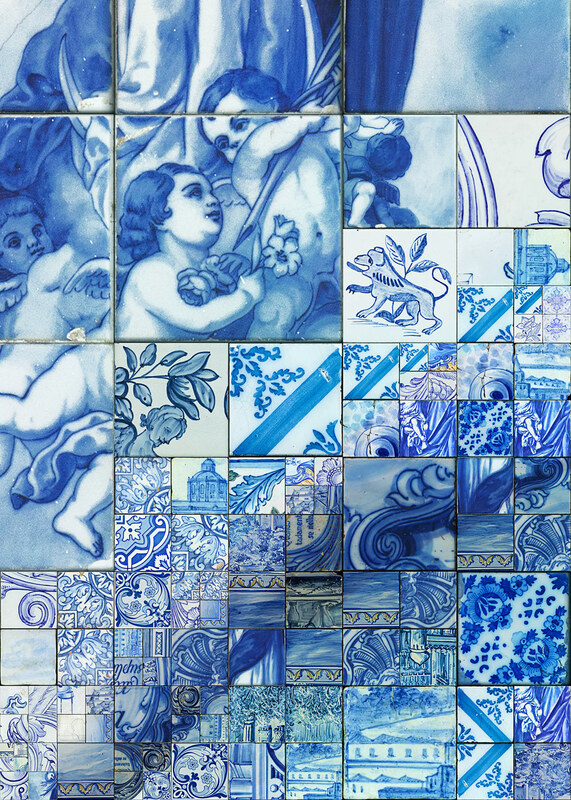 Of course the origins of Azulejo can be found in the Arab pattern tradition, the Italian tile craftmanship and the Greek mosaic art. 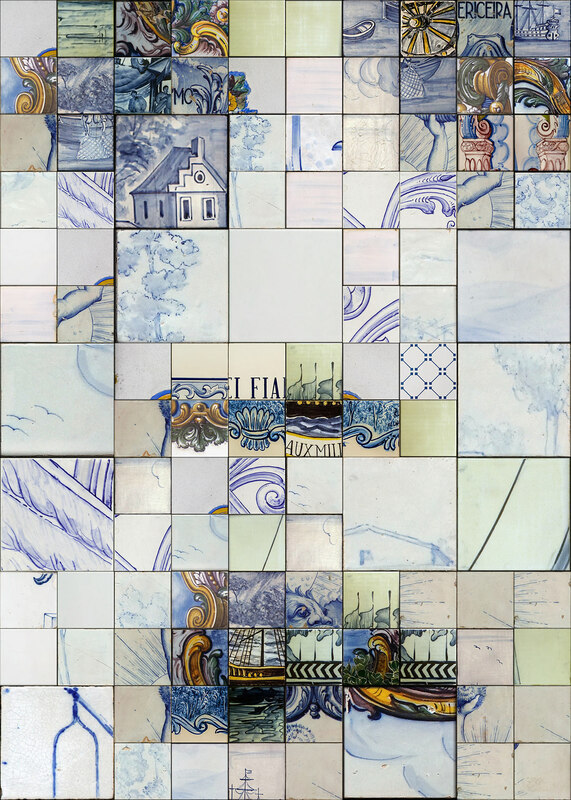 We could also find great tile paintings in other countries. 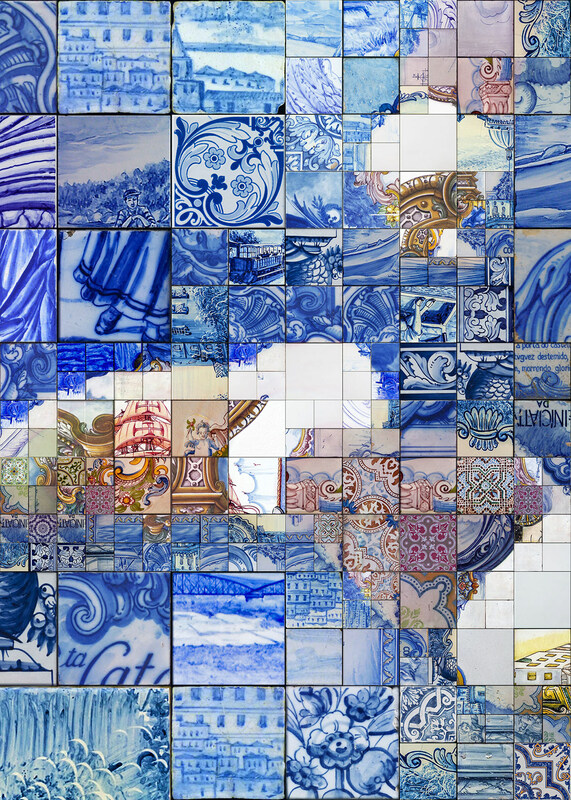 Not only in the Latin world, the former Portuguese or Spanish colonies in America, Africa and Asia. 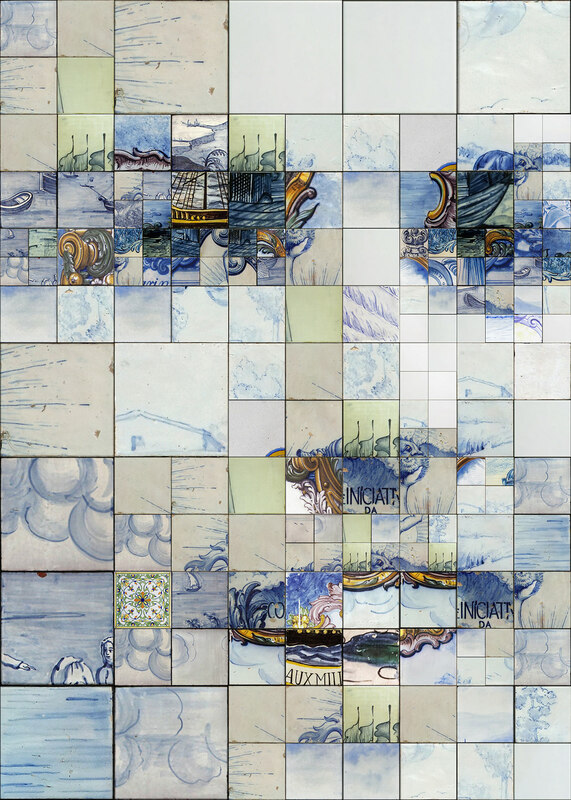 Tile painting masterpieces can be found in the Netherlands, Italy and of course the Middle East. 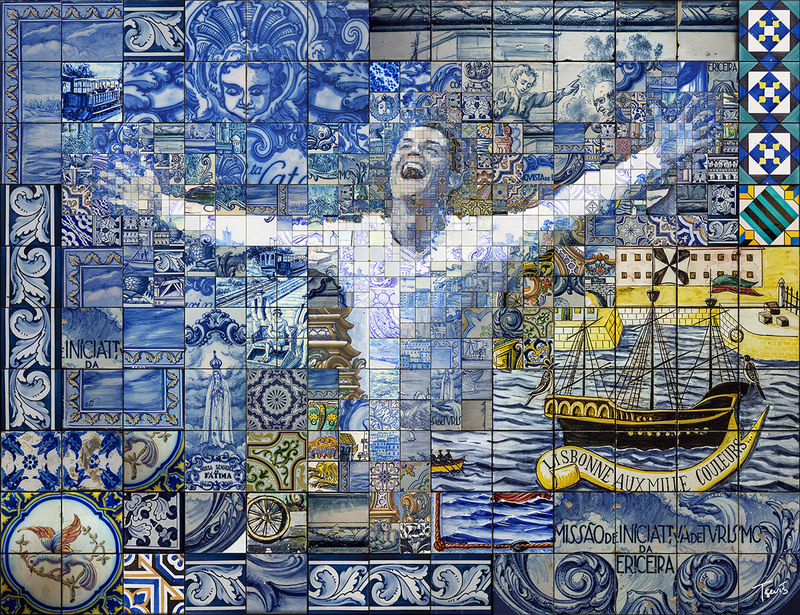 But the Portuguese artists have mastered this art and have intergrate it to the everyday life of Portugal. 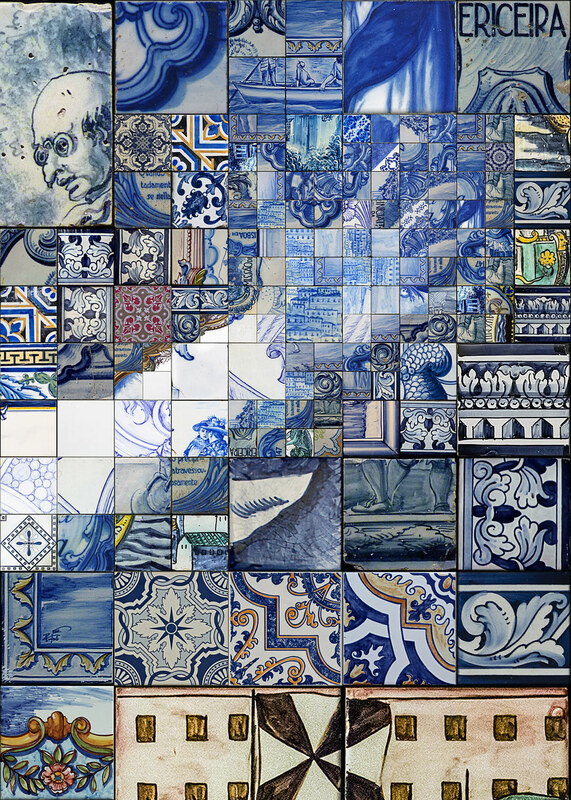 This is why Azulejo is today something like a trademark of Portugal. 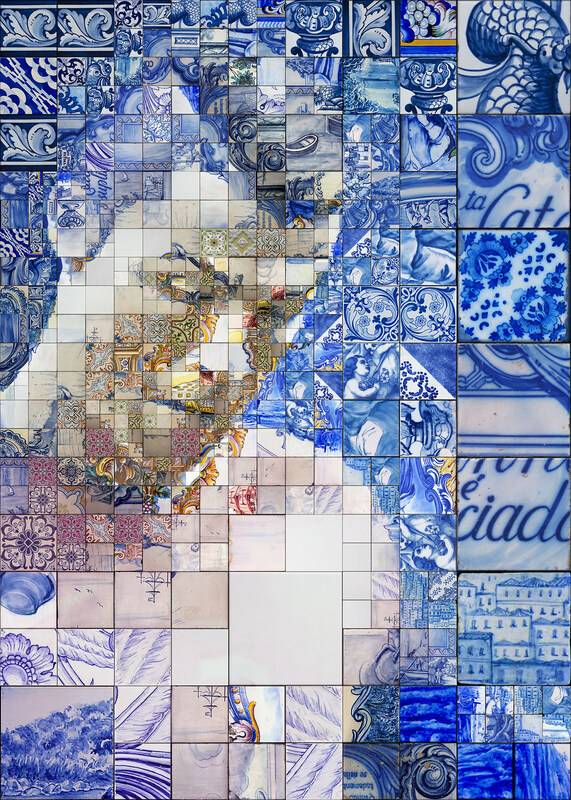 As a person who is studying mosaics for several decades I have spent a lot of time with Azulejo and for long time I wanted to experiment with some artworks that would mix digital art with this great tradition. 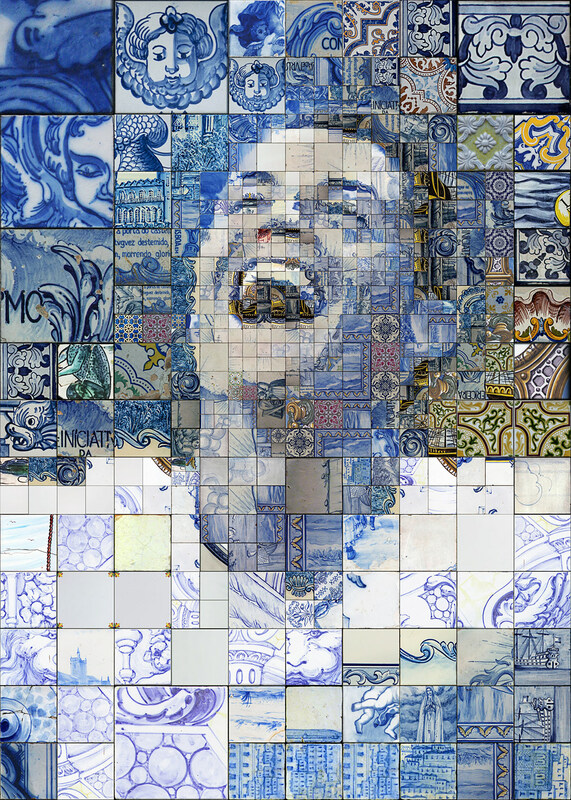 Hope you find this work interesting. 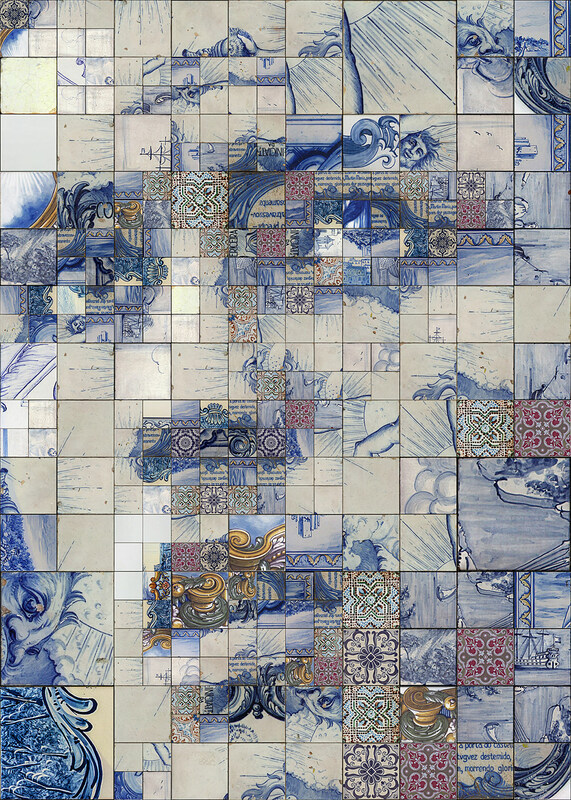 Take a look at the high resolution files (look at the captions of every photo). 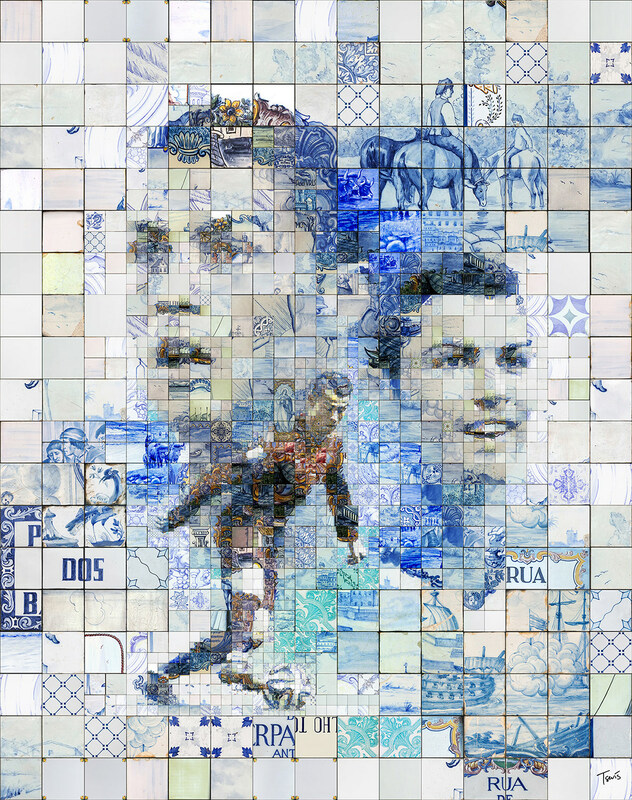 These illustrations are really big and are created to be printed very large (around 50 x 70 inches). 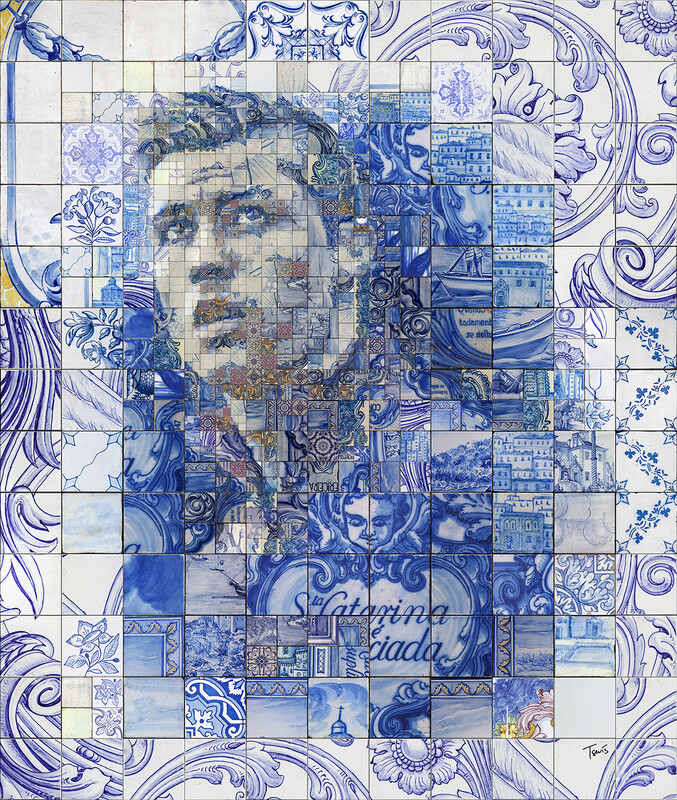 Please forgive my Portuguese. I am just a beginner with this beautiful language. 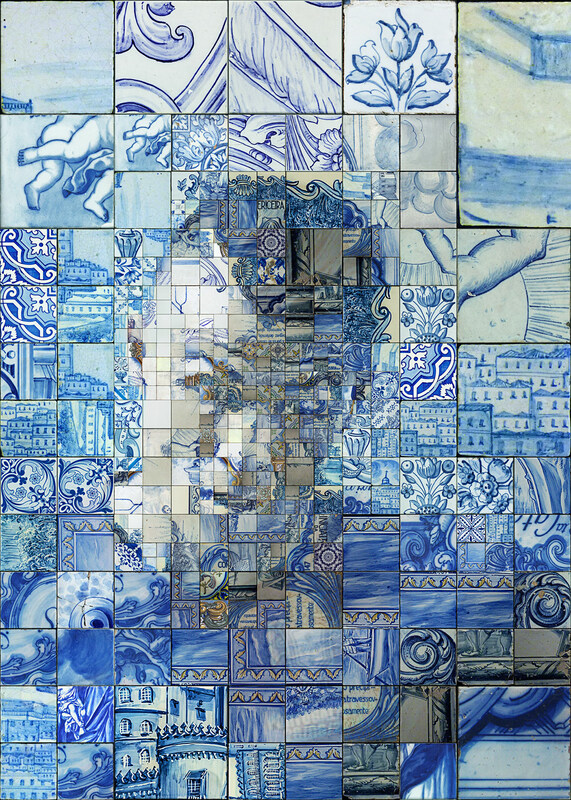 Made with custom developed scripts, hacks and lots of love, using my Mac, Studio Artist, the Adobe Creative Suite and good Fado music. 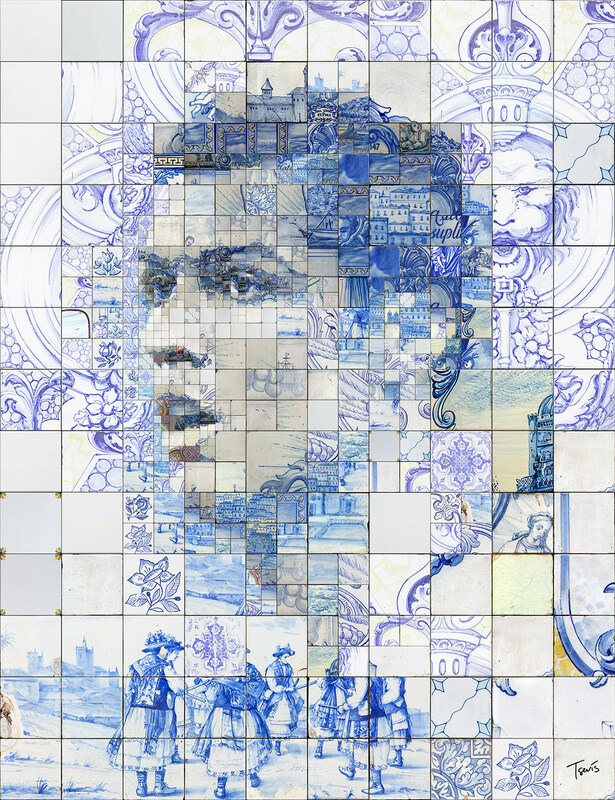 Cristiano Ronaldo portraits are partially based on photos by AGIF, Fanny Schertzer, Marcos Mesa Sam Wordley, Maxisport and Photo Works (Shutterstock). 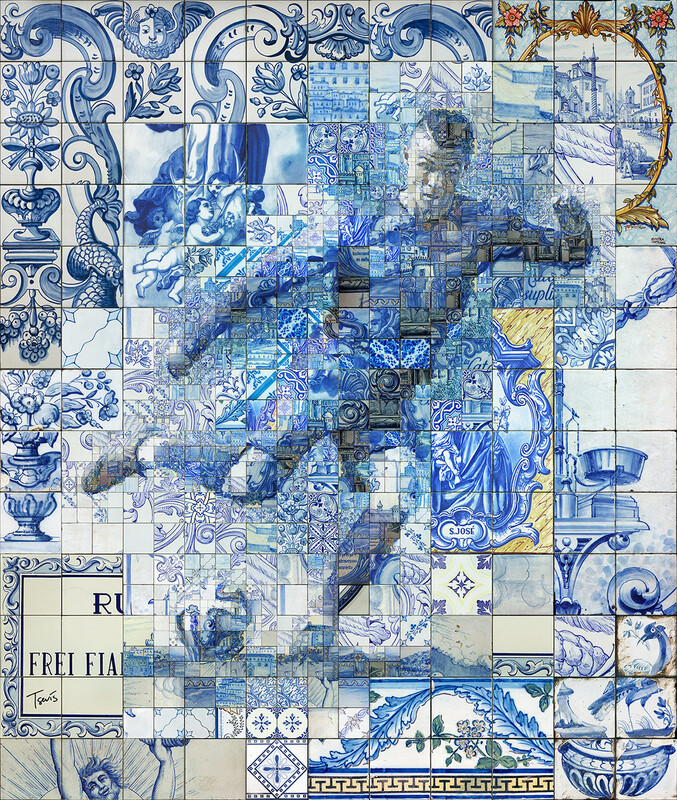 Azulejo paintings from hundreds of artists have been used. Unfortunately it's impossible to give credit to all of them, but I am really grateful for their work. 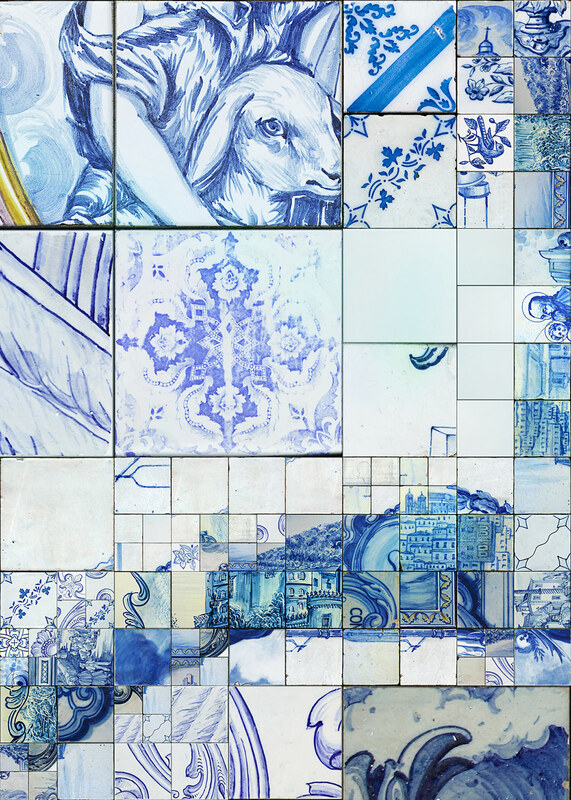 Mosaic illustrations based on the Portuguese traditional tile painting (Azulejo). 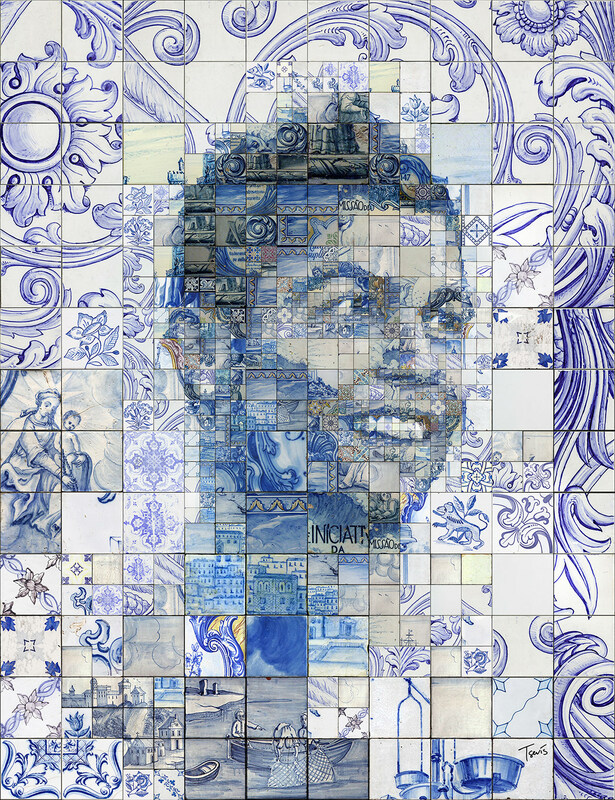 A tribute to Cristiano Ronaldo dos Santos Aveiro by Charis Tsevis. 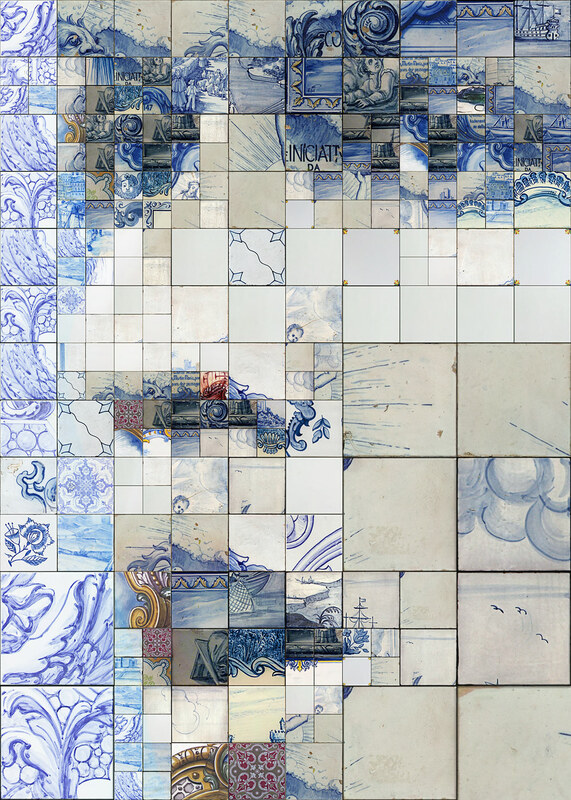 A personal project.